A proposed M25-style high-speed railway could cut journey times between Gatwick and Heathrow airports to just 15 minutes. 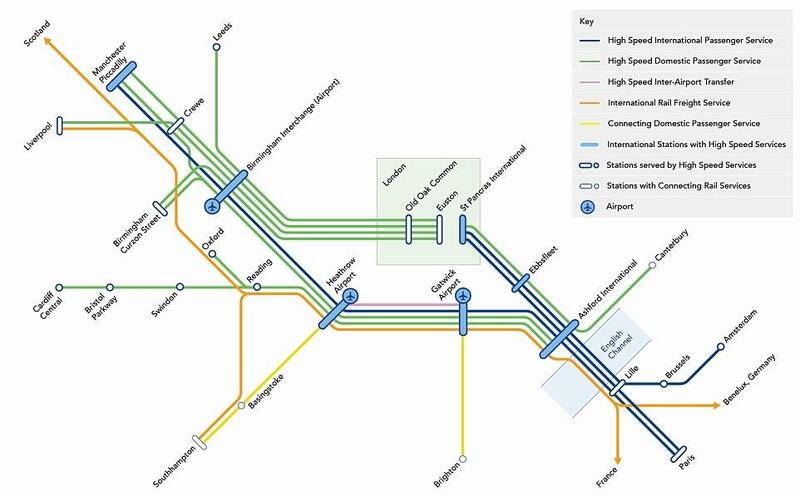 The £10billion HS4Air line would run partly alongside the M25, looping around London and providing the first direct route between the UK’s two busiest airports. The line would run for a total of 87 miles between Ashford in Kent and Denham, northwest of London. It would provide a link between HS1, which runs between the Channel Tunnel and London, and the planned HS2 rail line, which will run from the capital to major cities in the north. This week architects Weston Williamson + Partners released a new image of what they expect the new line to look like. HS4Air has been developed by London-based Expedition Engineering with Weston Williamson + Partners and planning and development consultants Turley. 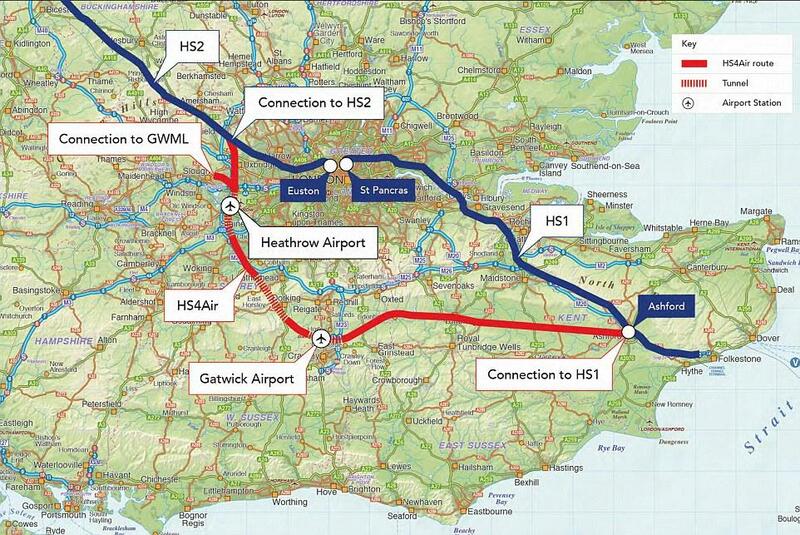 Nick McGough, associate partner at Weston Williamson + Partners, said: "HS4Air takes the problem of linking HS1 with HS2 and turns it into an opportunity in by-passing London entirely whilst better connecting the UK's two largest airports and the country generally through high speed rail. "This generates huge regeneration potential and much wider economic benefits for the whole country." Alistair Lenczer, director of Expedition Engineering said: "HS4Air will overcome the barrier that historic London represents in terms of rail connectivity between the UK regions and Europe. "By allowing London to be bypassed at high speed, economic activity between the UK regions and Europe can expect to grow."